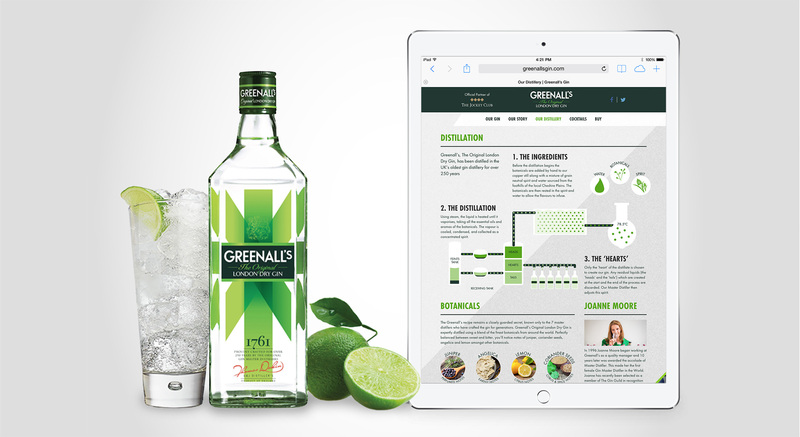 A multi-award winning and internationally recognised brand, Greenall’s have been proudly distilling their delicious original London dry gin since 1761. They refreshed their branding back in 2011 and wanted a new future-proof website to bring their online identity up-to-date with their products. They asked me to help them to enhance their existing designs and build a fully responsive, mobile-friendly WordPress website that would perfectly reflect their current look. 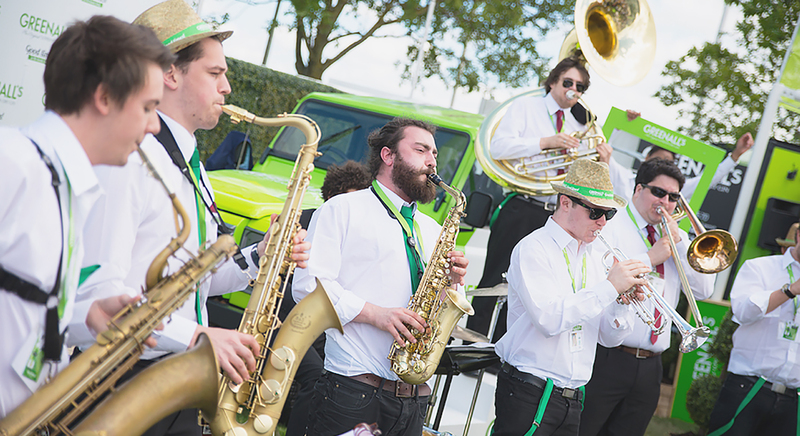 Greenall’s had a very clear vision for the site from the outset and provided me with the full site content, sitemap, and initial designs which gave me a perfect understanding of what they were looking for. Aspects of the site’s design were quite complex, so translating that to smaller screens was a challenge. After analysing their designs and requirements I designed mobile and tablet mockups to convey to Greenall’s how the site would look and function responsively. Planning based on analysis of the designs was crucial on this project. Every single part of the site needed to be editable in WordPress and in some instances, the design of the content had an entirely different layout on smaller screens vs larger screens. My years of experience with WordPress and WordPress theme creation came in to their own, and with some deep thinking I was able to build the theme and make each element changeable and versatile. A lot of time was then spent testing the design in various browsers (700+ including mobile browsers, to be exact!) to ensure the layout structure held strong and looked perfect. This included testing a several different types of content, images sizes, text lengths and potential plugins to account for future content changes made by Greenall’s. I then worked with the web team over at Greenall’s to get the site live and make it fully secure. 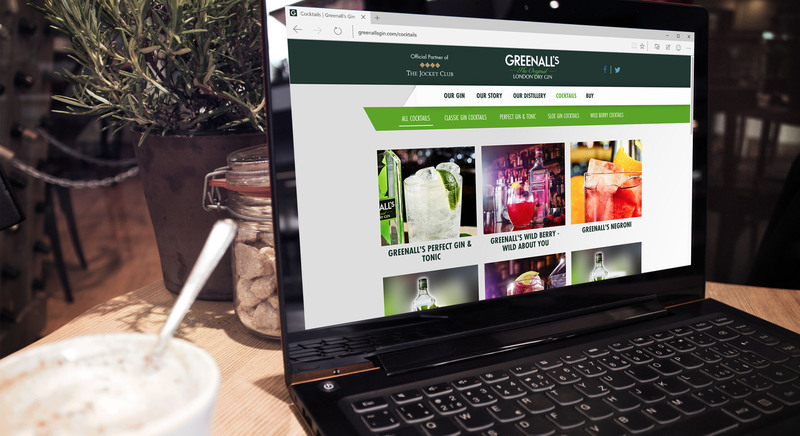 Mat was able to bring the Greenall’s online presence to life with a fantastic responsive website that looks beautiful and functions perfectly across a range of devices and screen sizes. It was essential that our new website accommodated mobile and tablet users, while ensuring a consistent brand style, all of which Mat delivered on time, on budget and to a very high standard. Professional, approachable and experienced, Mat was a pleasure to deal with throughout the project and I have no hesitation in recommending him for future creative projects.